An invitation will be left at the front door of each home. 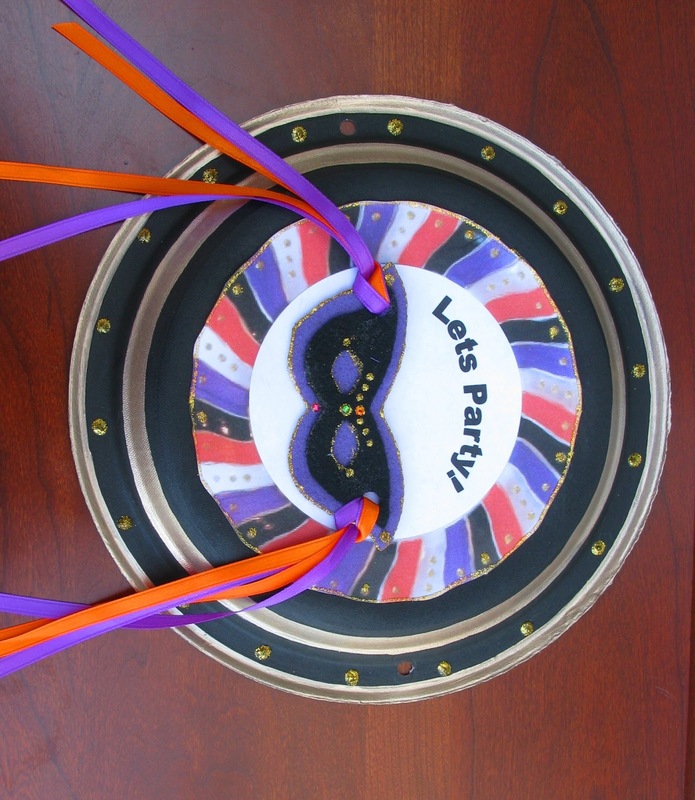 Included in each package is two finished adult masquerade masks. 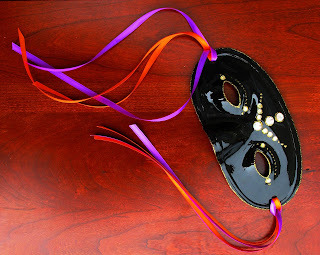 If your family requires additional adult masks, please let me know. 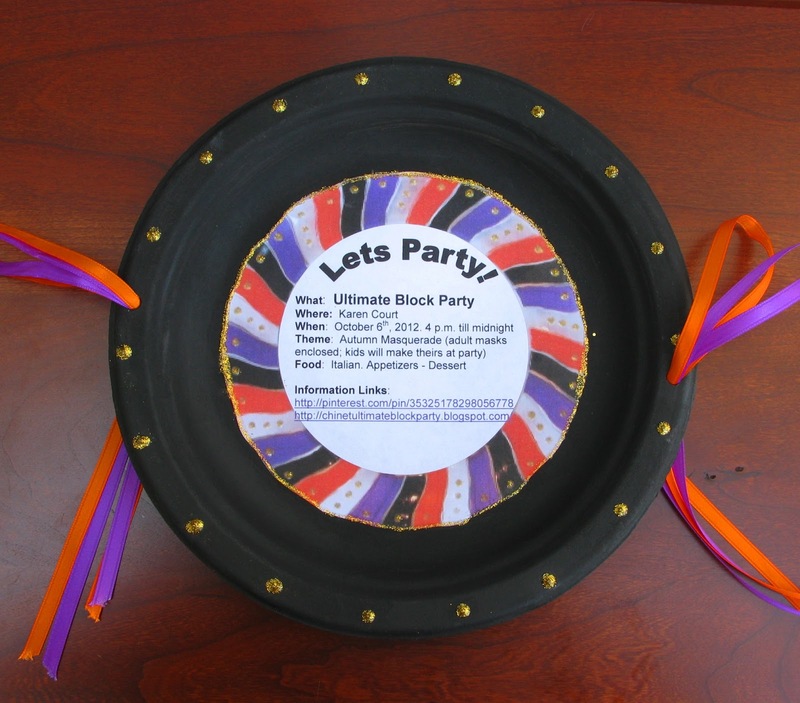 Children will make their masks at the Block Party; please show them the page for the pictures of the masks they will be making so they can select the one they want to make! The invitations, like many of the items, were crafted with Chinet products. I began with two Chinet® Classic White™ 10 3/8" Dinner Plates and painted them black on front and back with acrylic paint. Then on both, I used gold glitter paint to add dots. The gold paint on the front is Martha Stewart paint. The more colorful part of the invitation is a print of a picture of the Chinet Masquerade Dinner Plate (see post "Chinet Autumn Masquerade Placesetting") which I used in a Word.doc. I was able to insert the image, text boxes as needed and print. After cutting them out, and applying them to the dried painted plates, I then added an edge of glitter glue. I punched a hole on right and left to add ribbon to hold the two plates together. On the front of the Ultimate Block Party Invitation package I glued a felt masquerade mask to carry out the masquerade theme.